Vellum is mammal skin prepared for writing or printing on, to produce single pages, scrolls, codices or books. It is generally smooth and durable, although there are great variations depending on preparation, the quality of the skin and the type of animal used. The manufacture involves the cleaning, bleaching, stretching on a frame, and scraping of the skin with a hemispherical knife. To create tension, scraping is alternated by wetting and drying. A final finish may be achieved by abrading the surface with pumice, and treating with a preparation of lime or chalk to make it accept writing or printing ink. Gilded Age Greetings uses only the finest hand crafted Vellum. Produced by Pergamena 15th generation master tanners using authentic centuries old techniques. The vellums we use for many of our Gilded Age Greetings Couture and Grand Couture line bring heirloom quailty to your greeting and correspondence needs. Gilded Age Greetings uses only the finest pigments from Kremer Pigmente, for all of our Couture and Grand Couture cards. We have been discovering and redeveloping historical pigments since 1977. Our assortment consists of over 1000 different mineral pigments made from precious and semiprecious stones. We offer some of these pigments in various grindings and qualities. Special requests in regards to purity and particle size can be complied with. We also offer 4 different qualities of blue pigment made from Lapis Lazuli. The best quality is made according to the original recipe, already mentioned by Cennino Cennini, and is called Fra Angelico Blue. Additionally, we offer genuine Sepia made from Adriatic cuttlefish, the famous blue glass Smalt, and, Lead Tin Yellow, the pure yellow of the Gothic and Renaissance painters. Our new products include South American Maya Blue and Egyptian Blue. Due to our experience with pigments made of precious stones and minerals, we have picked the best industrially manufactured pigments for artistic painting. Several hundred modern pigments complete the historical palette. Historical and modern binders, natural dyes, modern synthetic pigments, chemicals as well as additives, round off the assortment. Kathryn Kinev: Gilded Age Greetings Consulting Jeweler: Ms. Kinev is one of the very rare jewelers who uses granulation, an ancient and time-consuming technique of applying tiny spheres of gold to a surface. This technique is period appropriate with the Illumination techniques used on our Couture and Grand Couture lines. Giclee (zhee-klay) - The French word "giclée" is a feminine noun that means a spray or a spurt of liquid. The word may have been derived from the French verb "gicler" meaning "to squirt". The term "giclee print" connotes an elevation in printmaking technology. Images are generated from high resolution digital scans and printed with archival quality inks onto various substrates including canvas, fine art, and photo-base paper. The giclee printing process provides better color accuracy than other means of reproduction. The Chateau features on our home page is Chateau Challain located in the Loire Valley in France. In the 19th century, the Count and the Countess of La Rochefoucauld-Bayers built their fairytale grand castle in the neogothic style. She features 120 rooms on 5 levels and is surrounded by gardens and statuary. Gilded Age Greetings is a luxury greeting cards company. We create the worlds most beautiful greeting cards. Custom greeting cards with the utmost attention to detail, custom designed cards for every occasion. Gilded Age Greetings is taking limited commission work for custom christmas cards, custom birthday cards, custom anniversary cards, custom thank you cards. We will also design custom congratulation cards, custom wedding cards, custom bar mitzvah cards and custom bas or bat mitzvah cards. Gilded Age Greetings creates unique and one of a kind greeting cards for the most discerning clients. We pride ourselves of the quality and craftsmanship that go into every card we make. Gilded Age Greetings the most beautiful greeting cards in the world. 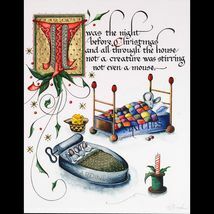 Our line of luxury cards are created by master penman and Renaissance Illumination artist Rosemary Buczek.